It’s all thanks to YOU that we are able to help so many children! As danceaid is a volunteer-led organisation we are currently able to give 100% of the money we raise directly to our projects! We want to keep being able to give as much of the funds we raise as we can to those projects, so we need your help!! If you like dance and want to be more involved in the dance community then there are some great perks to being a volunteer. You get to go to some amazing shows, meet dancers and dance fans as enthusiastic as you and make new friends. More importantly you’ll also be to help us make a huge difference! For those of you looking to get started on the job ladder then it is also a great opportunity to get valuable experience in customer service, event management and working as part of a team which can boost your CV and improve your job prospects. Fill out the Volunteer Form now and have a look at our Events Calendar to see when we are next coming to a town near you! Okay so danceaid HQ isn’t quite No.10 but you never know where volunteering can take you! 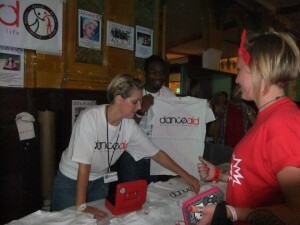 Help us at danceaid HQ! It’s not just at shows that we need your help. There is a lot of work that goes on behind the scenes too and we are always looking for help with all our administration tasks, event planning, marketing and accounting. You’ll get to work as part of a fun, lively and dedicated team, make new friends and the knowledge that you are helping us to make a difference to kids lives all around the world. For many of our younger volunteers it also offers valuable office experience to bolster your CV and give you the edge in the job market. You don’t even have to come into danceaid HQ to help out – there are many opportunities to work with us as a virtual admin assistant! Fill out the Volunteer Form now! Fill out the Volunteer Performer Form now!